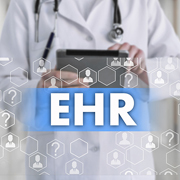 Although the electronic health record (EHR) was first introduced in the 1960s, it was not until 2009 that the technology really heated up. During this time, the Congress passed the Health Information Technology for Economic and Clinical Health Act. They allocated close to $30 billion for the adoption of the EHR technology, which resulted in its mass implementation. And today, the medical sector considers EHR technology as a stepping stone that improved the care quality and reduced the expenses. The benefits of the of the EHR technology over the traditional method of paper are many including cost reduction, improved quality, and enhanced compliance due to the use of real-time data. As the healthcare system is moving towards an electronic health record model, what are the changes we can expect in the future? To make things simple, we have listed some of the predictions of the future of electronic health records and what will EHRS look like in 2020. So, what are the foreseeable changes that we should expect for the future of electronic health records? To make things simple, we have listed some of the forthcoming predictions of electronic health records and focused on how EHRS will look like in 2020. EHR turns data into knowledge. It is a gateway to smarter, safer and more accessible health care. Despite making the electronic health records readily available to the public, only 50% are accessing it. And most of them do it only once a year. In the coming years, more people should be encouraged to access this information to increase their engagement. It is also important that the providers present a simpler user interface through their SaaS systems. In the coming years, we will see hospital CIOs, developers, and vendors will start working towards developing a unified standard of medical data which will facilitate information sharing and processing. EHRs allow digital sharing of notes, easy retrieval of patients' lab results and sending prescriptions to the pharmacy. Ideally, the records should flow seamlessly. But, effective communication between the systems, known as interoperability, is still a major issue. Currently, only 25% of the healthcare organizations are finding, sharing and receiving medical data. And only 40% of the hospitals integrate the data with their EHR system. Incoming 4-5 years, we will see hospital CIOs, developers, and vendors start working towards developing a unified standard of medical data. This will ease information sharing and processing. Using the cloud technology for data storage and processing is not new to the business world. The most notable change, with the EHR, is the major improvement in the storage and speed of information flow. Currently, the medical organizations are citing the costs of software and infrastructure as their main concerns for adopting the cloud technology. Soon they will realize that the costs are lower with cloud-hosted EHR software. Patient's centralized database is the latest trends in electronic health records in 2020. The centralized database will contain all the related medical information of the patients. This will assist the physicians to access their patient's past data and help in providing a better diagnosis. Patients will have a single access to their records. The governments and R&D organizations can also access that information to identify the disease and illness trends. As digital technology evolves in the medical sector, the future of EHRs seems promising. The electrical medical records technology will rely on more automation using AI and deep learning. And with supporting informatics tools, its decision support systems will allow clinicians to access their patient's information and help them make better decisions. EHRS in 2020 will ensure that the patient engagement will increase. Patients will have their questions answered before their records arrive at the doctor clinic. They can also directly book the appointment. This will make the patient portal more user-friendly and increase their engagement. Outsource2india has been a leading provider of healthcare information technology services in India and a plethora of other healthcare services to global clienteles. Having been in the healthcare service industry for almost two decades now, we have the required experience to provide an array of services including healthcare analytics and business intelligence, health information exchange, EHR, healthcare IT as SaaS, data migration, etc. Our team comprises some of the most skilled and talented individuals who are trained to cater to any of your needs within a quick time. If you are looking for a reliable, cost-effective, efficient, and accurate health information technology services, then you have come to the right place. Get in touch with us now.